Serial Entrepreneur and Private Equity Veteran, Chairman of MoneyWorld Group of Companies, Honorary Consul to the Republic of Lithuania. 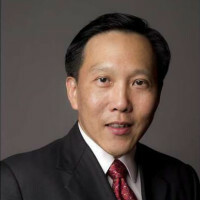 Mr. Andy Lim is the Executive Director of Associated Leisure International and Chairman of MoneyWorld Group of Companies. He was appointed Executive Chairman of Singapore Exchange-listed Viking Offshore and Marine Limited on 15 June 2009, a post he continues to hold. Mr. Lim is also the Co-Founder of Tembusu Partners Pte Ltd, a leading Singapore private equity firm. His other board appointments include Chairman of Overseas Experts Council (Singapore branch) of Peking University's China Centre for Strategic Studies, President of Enterprise 50 Association and a member of the Home Affairs Uniformed Service Invest Board of Trustee. Mr. Lim holds a Masters in Business Administration (MBA) from the University of California (UCLA) and a degree in Engineering (First Class Honours) from the Cambridge University.